The chances are that if you are reading this article, you are most likely already using pay per click advertising to your benefit. However, there will be some advertisers reading this that have opted not to use PPC as a traffic source online (and have instead gone for an alternative). 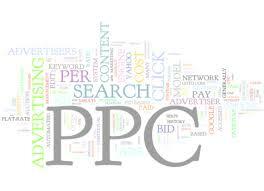 The truth of the matter is that PPC is by no coincidence the best program to use for online advertising. It is used by the millions around the world because it works – simple. For this reason, if you are not convinced to switch to PPC, read the below points which highlight some of the reasons why every advertiser should try out PPC advertising. This is a big pro to PPC. Unlike others such as banner advertising, PPC allows you to control every cent you spend (literally every cent). This is achieved through choosing a CPC (cost per click), a budget for each day and more. Therefore, if you choose to use PPC, you will have the safety and confidence of knowing that you will never overspend – as you reach your budget limit, your PPC campaign will temporarily halt until the next day when your budget resets itself. Unlike other forms of advertising, PPC makes it extremely easy to target certain specific audiences. This is done by targeting the keywords them web users search for on search engines. If more of your traffic reaching your landing page is targeted and contextual, the conversion rate will significantly increase. As well as targeting certain keywords, you can target other factors such as location too. This makes it possible for local businesses to target those searching near them and not from the other side of the world: something that few advertising programs online do. Let’s face it. Contextual advertising was really made mainstream by PPC and Google AdWords. With some forms of advertising, you can fund a campaign but still potentially get zero results. This is not the case with PPC. Along with the confidence that you will not overspend and target specifically, you can also have every confidence that you will get 100% guaranteed results from the budget you have set aside for PPC. This is because PPC works around the simple basis that you only pay per click. If your advert does not get clicked, you won’t pay a dime. Therefore, you will know that when your budget has been used up in PPC, you know you have gained traffic from it for sure. You only have to look at how successful pay per click advertising has been for Google and the shear number of people that use the program around the world. It is no coincidence it is used by so many. It works. It is flexible to every advertiser’s need. This has made it one of, if not the, most used form of advertising out there.